I am so beyond excited to share the most amazing news... I will be contributing, along with 7 other other excellent bloggers/ seamstresses on The Sewing Rabbit Blog. Every month I'll be sharing a sewing tutorial on one of my favourite sewing blogs- how cool! As much as I have been sewing for a long time, almost 25 years now, this whole sewing/ blogging thing is fairly new to me. Specially making and sharing tutorials- so this will be a great experience and I can't wait to get started and share some wonderful things with everyone. If you are coming over from The Sewing Rabbit, i'd like to say hello & welcome! If you'd like to see everything I've been sewing for my kids in the past two years you can check out THIS link. If you would like to see some the sewing I did before I had kids and when I used to have my own label called Laila B. you can find a few images HERE and on my Flickr. Lastly, you can go to my Tutorial Page HERE and see all the tutorials I have done, most aren't sewing related but fun anyways! You might notice that some links bring you to a blog called Lets Do Sew, that is my sewing blog which I've decided to quit and put all of my focus here. I really can't thank Jessica of The Sewing Rabbit enough for giving me this great opportunity. 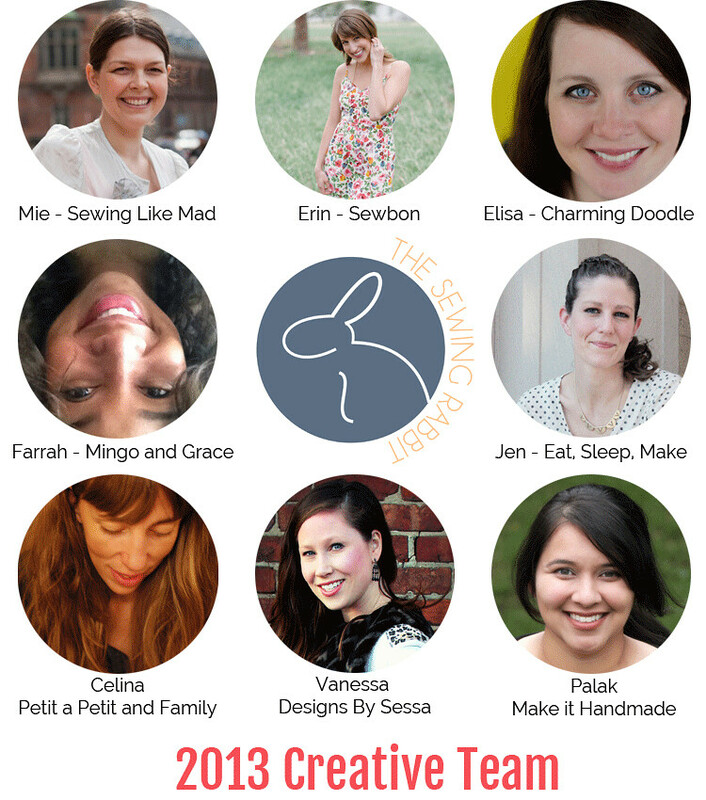 I'm so thrilled to be part of her Sewing Rabbit Creative Team and blog. I'm so pleased she has trusted me to take part in this very cool adventure and I really hope not to disappoint. Mark your calendars my first tutorial will be up June 24th- a day before my birthday... what great way to start a new year!